Hi thank you to everyone who left a comment i was very intrigued as who was visiting i will try and visit all your blogs if you have one. 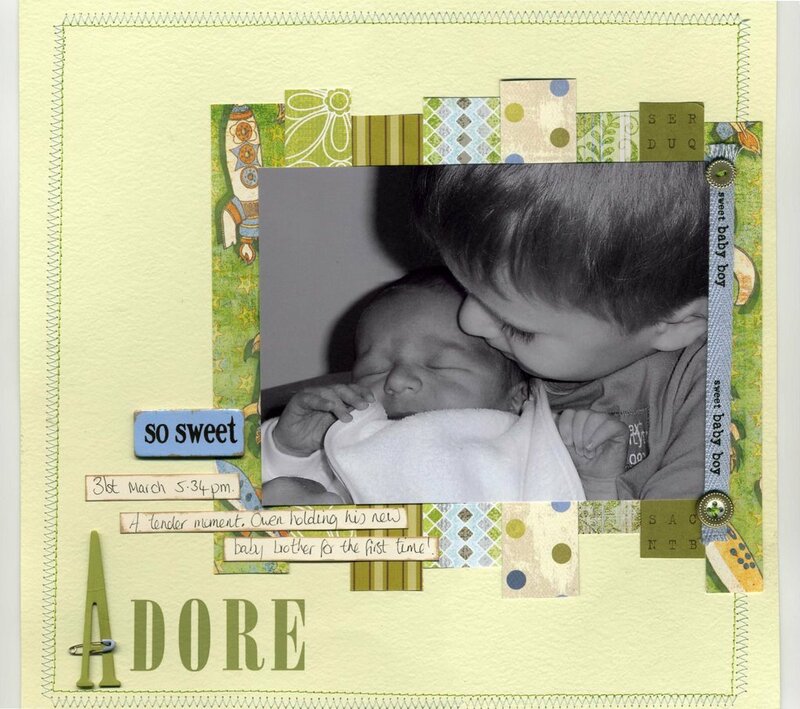 Heres a lo that was published in this months Scrapbooking inspirations of my two sweeties! ,havent done too many me los this month i must get going! I have good news i have been asked to teach at a scrapaholics retreat in september i am so excited ive done two los! obviously very secret squirrel but how cool! !other than that been very busy sun bathing and paddling with my little one in the pool! Beautiful layout… and congratulations on your scrapaholics retreat!!! I love this layout! The PP behind the photo is great, even the little safety pin didn’t go unnoticed! Thanks for sharing.